Welcome to the wonderful world of laser dentistry! Hands-on demo's are conducted with training dentists to give interested dentists an experience. See our event page for any Waterlase Hands-On dates near you or sign up and we will contact you to set up a date. We also host Laser Workshops for an overall introduction to lasers as well as a hands-on experience of the laser range. See our event page for dates. Years of engineering and research by led to discovery of a water-energizing 2,780 nm YSGG laser and an air & water hand piece – both patented by BIOLASE – that combine to symbiotically excite water molecules from within both the spray and the target tissue. This results in a biological, effective micro-ablation of tooth structure, bone, or soft tissue. Hands-on Waterlase demo's are conducted with training dentists to give interested dentists an experience. See our event page for any Waterlase Hands-On dates near you or sign up and we will contact you to set up a date. We also host Laser Workshops for an overall introduction to lasers as well as a hands-on experience of the laser range. See our event page for dates. The right laser technology can change what it means to be, or visit, the dentist. It lets you perform more procedures in a single visit, with minimally invasive procedures that mean more stress-free moments for patients and staff. 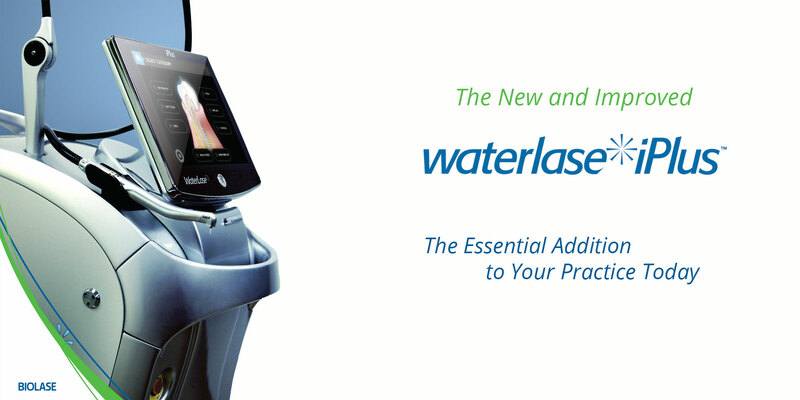 Introducing Waterlase Express - the more affordable, portable, and easier-to-use laser that’s ready to change your practice - for you and your patients. In most cases, we are able to come to your practice and conduct a hands-on demo with you and your team. In this case we invite you to schedule a suitable patient should you wish to put the EPIC X to the test. We also recommend you attend a 3 to 4 hour Laser Workshop for an overall introduction to lasers as well as a hands-on experience of the laser range. See our event page for dates. The EPIC X features new software technology and a new cordless foot pedal, among other notable innovations. Offering fast access, fast whitening and hygiene versatility along with its features such as exclusive Pain Therapy treatment modes, simplified user controls and enhanced ComfortPulse™ settings to deliver greater patient comfort. The EPIC X was created to be the most versatile, most responsive and most portable diode laser on the market so dentists can delight their patients, faster. In most cases, we are able to come to your practice and conduct a hands-on demo with you and your team. In this case we invite you to schedule a suitable patient should you wish to put the iLase or EPIC X to the test. We also recommend you attend a 3-hour Laser Workshop for an overall introduction to lasers as well as a hands-on experience of the laser range. See our event page for dates.